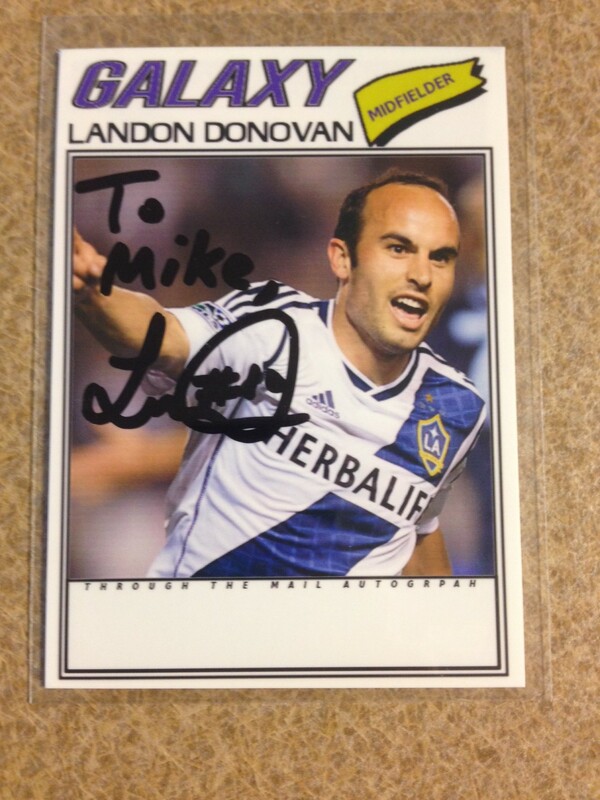 Brilliant Through the Mail Return – Landon Donovan! Quite possibly the best TTM I have ever received. Earlier this year, just after the world cup, I really got into MLS soccer. I started following the games and the players. I even made my own custom cards. One of the cards I sent out was the one pictured above. It’s a remake of the 1977 Topps baseball release. Thought it would be cool to send one out to Landon Donovan, mainly because he had just announced this was his last season. Never in my wildest dreams did I think he would sign it, let alone personalize it to me. Yet there I was at my mailbox yesterday afternoon, going through the various bills, I see one of my self addressed envelopes pop out. I was thinking anyone other than Donovan. Then I looked at the return address and I was just stunned. I said to myself, “No way is this signed by him, it’s probably just a return of the card with a sorry, too many requests, can’t sign them all apology.” So I took it inside and held it up to the light, trying to hold out hope. No additional stuff in there, just the card. My interest piqued. I tear into the envelop and pull the card, staring at the back, I quickly flip it over and lo and behold, a personalized autograph from Landon himself! 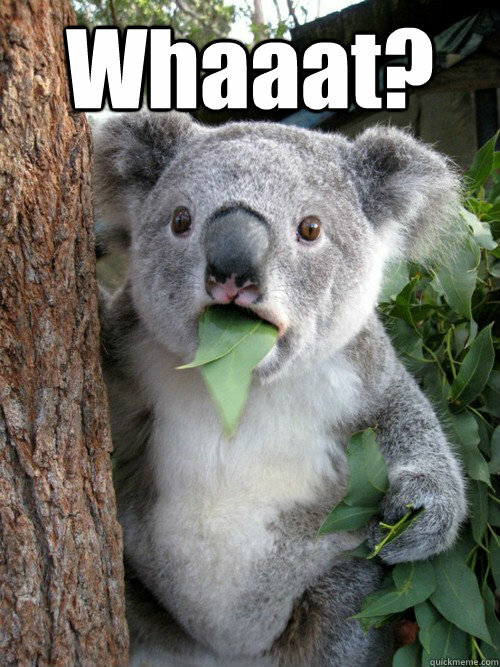 Whaaaaaat???? My face – minus the leaf, after seeing the card personalized and signed! I immediately took a snapshot of the card to place on this blog for all to see! What’s truly stunning to me is that I just sent the request to Los Angeles Galaxy headquarters and really it only took about 3 months to get back. When you think about it, that’s not a long time at all considering he is probably one of the busiest players in the league. Not sure where the best place to contact him now is though. I am assuming his future plans involve soccer at some level. Maybe as a coach or in broadcasting. His popularity though has never been higher and I want to thank him in this post for taking the time to sign my card. If you are looking for an archive design for through the mail requests, I can pretty much make anything, just let me know.